ABSTRACT:- The main aim of the geotechnical engineering, soil mechanics, etc. is to make the soil more ideal and of the type that meets all the requirements of every civil construction. 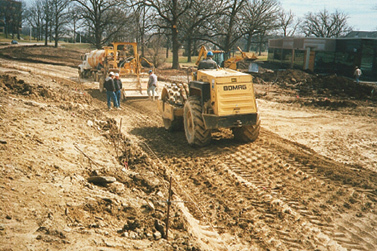 This process or this technique is known as soil stabilization or modification technique. This research work brings the soil stabilization methods into the attention and in quintessence it compares all the advantages of one over other. From the foregoing, it has been established from previous geophysical studies over the years that mechanical stabilization method of soil is the best soil stabilization method in the world today because of its availability and affordability. Consequently, the present work advises constructors on the benefits of choosing mechanical stabilization method over the others. This section provides a list of construction procedures, using mechanical stabilization methods, which will be useful to the engineer in the field of operations. Shape the area to crown and grade. Scarify, pulverize, and adjust the moisture content of the soil, if necessary. Reshape the area to crown and grade. Use one of the following methods; Distribute evenly by means of an improved stone spreader. Use spreader boxes behind dump trucks, Tailgate each measured truck, loading to cover a certain length, Dump in equally spaced piles, then form into windrows with a motor grader before spreading. Add water, if required, to obtain a moisture content of about 2 percent above optimum and mix with a rotary mixer, pulvimixer, blade, scarifier, or disk. Continue mixing until the soil and aggregate particles are in a uniform, well-graded mass. Blade to crown and grade, if needed. Compact to specifications determined by the results of a CE 55 Proctor test performed on the blended soil material. 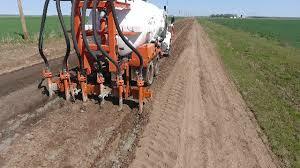 Select the appropriate type(s) of compaction equipment, based on the gradation characteristics of the blended soil. Shape the surface to crown and grade, Scarify to the specified depth, partially pulverize the soil. Select one of the following methods; Use about 1/2 of the total lime required. Spot the paper bags of lime on the runway, empty the bags, and level the lime by raking or dragging. Apply bulk lime from self-unloading trucks (bulk trucks) or dump trucks with spreader. Apply the lime by slurry (1 ton of lime to 500 gallons of water). The slurry can be mixed in a central plant or in a tank truck and distributed by standard water or asphalt tank trucks with or without pressure. Mix the lime and soil (pulverize soil to less than a 2-inch particle size exclusive of any gravel or stone). Add water. 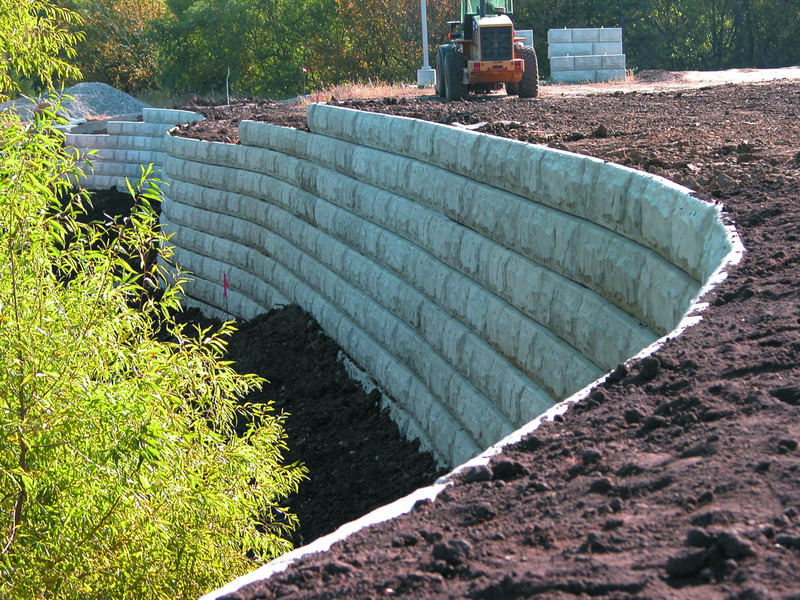 The amount of water need to be increase by approximately 2 percent for lime stabilization purposes. Mix the lime, water, and soil using rotary mixers (or blades). Shape the lime-treated layer to the approximate section. 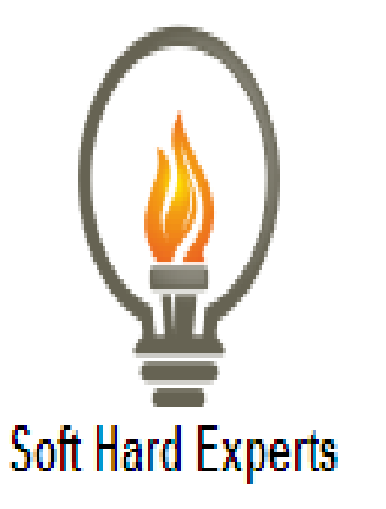 Compact lightly to minimize evaporation loss, lime carbonation, or excessive wetting from heavy rains. Cure lime-soil mixture for zero to 48 hours to permit the lime and water to break down any clay clods. For extremely plastic clays, the curing period may be extended to 7 days. Add the remaining lime by the appropriate method. Continue the mixing and pulverization until all of the clods are broken down to pass a l-inch screen and at least 60 percent of the material will pass a Number 4 sieve, Add water, if necessary, during the mixing and pulverization process. 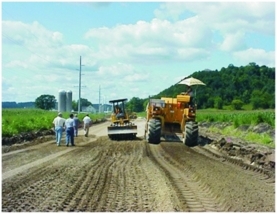 Begin compaction immediately after the final mixing. Use pneumatic-tired or sheep-foot rollers. Let cure for 3 to 7 days, Keep the surface moist by periodically applying an asphaltic membrane or water. Shape the surface to crown and grade, scarify, pulverize, and pre-wet the soil, if necessary. Reshape the surface to crown and grade. Use one of the following methods; Spot the bags of cement on the runway, empty the bags, and level the cement by raking or dragging, Apply bulk cement from self unloading trucks (bulk trucks) or dump trucks with spreaders. MIXING: Add water and mix in place with a rotary mixer. 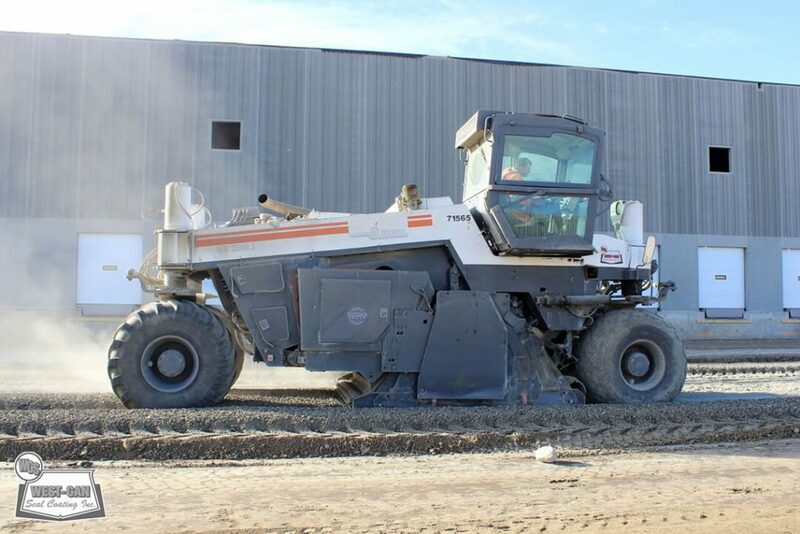 Perform by processing in 6- to 8-foot wide passes (the width of the mixer) or by mixing in a windrow with either a rotary mixer or motor grader. Begin compaction immediately the final mixing (no more than 1 should pass between mixing compaction), otherwise cement hydrate before compaction completed. Use pneumatic-tired and sheep foot rollers. 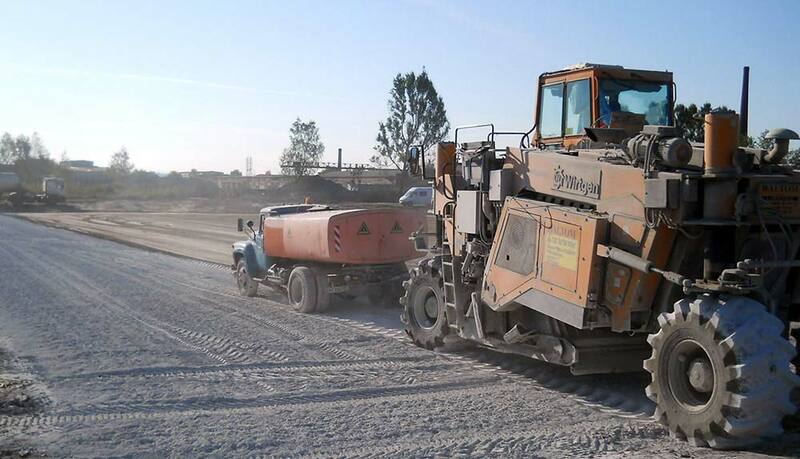 Finish the surface with steel-wheeled rollers. Prevent excessive moisture loss by applying a bituminous material at a rate of approximately 0.15 to 0.30 gallon per square yard. Cover the cement with about 2 inches of soil or thoroughly wetted straw. Requires limited financial resources to provide a complete road network system to be built in a conventional method. Locally available soils can be effectively utilized with the help of other stabilizing agents. This research work encourages the use of the Industrial wastages in the building of a low cost construction of roads. In the end, mechanical stabilization is observed as a best technique to stabilize the soil in the world today because of its availability and affordability.